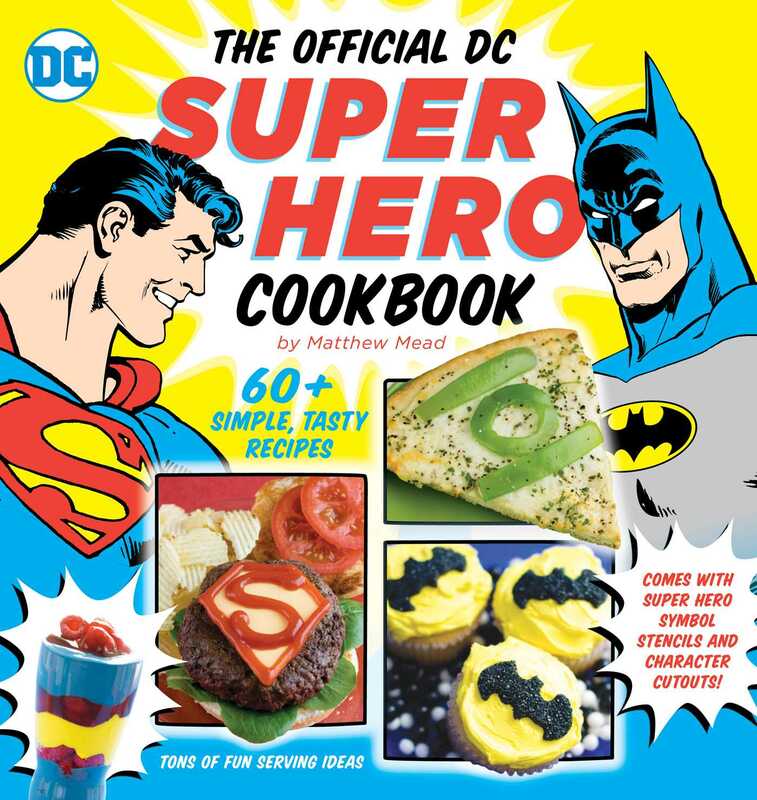 The DC SUPER HERO COOKBOOK is packed with simple, fun recipes designed to evoke kids' favorite super heroes and to enhance their super powers. DC Super Hero logo stencils and character cut-outs make for extra-fun food styling. More than sixty easy, tasty recipes inspired by beloved DC characters (including Superman, Batman, Green Lantern, The Flash, Green Arrow, Aquaman, Wonder Woman--and more!) are fun for kids of all ages to prepare and to eat! From the Up, Up and Away Parfait and Green Arrow Fruit Kebobs to Holy Guacamole and the Bat Cave Chicken Stew, the colorfully presented recipes are perfect for making everyday family meals extra special, as well as for themed parties. Simple, step-by-step instructions are easy to replicate. And kids will enjoy flipping through the fabulous finish photos. Special sections on lunch box suggestions and super hero parties are packed with clever ideas. And DC Super Hero symbol stencils and character cut-outs make it easy to style every dish.